From the Nissan GT-R to the Nissan Titan and all models in between, Cordell’s Automotive in Holmen has a team of well-trained auto mechanics ready to fit you for new tires or diagnose and repair what’s gone wrong with your electrical system. When it comes to auto repair and service for your make of Nissan, we’ve got you covered. Did you know that Nissan partners with Renault? Whether you were aware of that fact or you just knew that Nissan is known for providing innovative yet reasonably priced models, Cordell’s Automotive knows that you put an emphasis on value, yet you still care about quality and innovation. That’s why Cordell’s Automotive in Holmen places a high value on continuing education for all of our auto repair technicians and advisors. 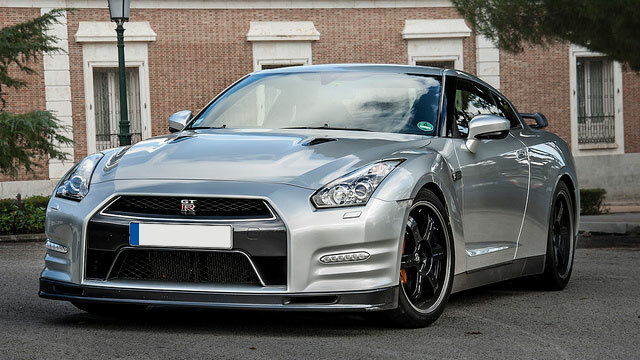 If you own a Heritage Nissan or a brand new model, we are prepared to deliver quality workmanship at reasonable prices. And we treat you like an extended member of the family, always leading with integrity and care for you and your Nissan. The auto mechanics at Cordell’s Automotive will always make things right and will go out of their way to provide you with the best customer service possible. We back our work with a 3-year/36,000 mile warranty and will always do our best to help you get to wherever you need to go even if you’re tempted to hang out in our awesome waiting room. We’d love to work on your Nissan. Schedule an appointment today. Cordell’s Automotive is located at 300 South Holmen Drive, Holmen, WI, 54636. Our hours are 7:00 AM - 5:30 PM, Monday - Friday. We also service the communities of La Crosse, Onalaska, and Trempealeau.